The Financial Administration Team is in charge of the processing of sales and purchase invoices, payment of salaries and remunerations, and bookkeeping at Clinical Research Institute HUCH. Clinical Research Institute HUCH Ltd. is a private employer. Its employment relationships comply with the collective bargaining agreement for the health services sector (TES) agreed upon by the Private Health Services Association and the bargaining organization for health and social workers TSN ry. Task-specific salaries are set according to TES. Researchers can agree on a personal salary component with an employee. Annual holidays are set in accordance with the Annual Holidays Act and pension rights according to the Employees Pensions Act (TyEL). Clinical Research Institute HUCH Ltd is the employer of the entire research team when externally (corporate) funded research is conducted at HUS. Research team members employed by HUS are granted secondary occupation permissions automatically when research permission is granted. Clinical Research Institute HUCH provides employees with compensation in the form of wages or salaries or remuneration for work performed in accordance with the budget. 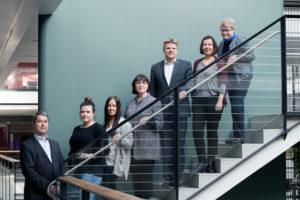 Researchers agree on remunerations to be paid together with the Study Management Coordinator of Clinical Research Institute HUCH and members of the research team. When building the budget, the Study Management Coordinator calculates not only the aforementioned salaries/remunerations, but also the statutory personnel expenses of the employer (26%), and in the calculation of salaries also holiday compensation (total 42%) and TES increases. The researcher approves all research invoices electronically. 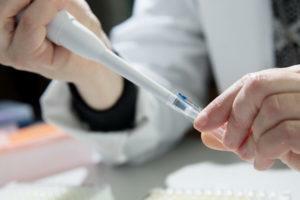 In the case of commissioned studies for the pharmaceutical industry, a researcher can only approve invoices related to the study in question. Invoices are scanned by the Financial Administration Team if necessary and emailed to the responsible researcher at HUS for approval. When purchasing goods or services, the invoicing address must be HYKS-instituutti Oy, P.O. Box 700, FI-00029 HUS, or in the case of e-invoices: 003708729672, Operator: Basware Oyj, Intermediator code: BAWCFI22. The reference number is the research agreement number. Goods can be delivered to the address of the researcher’s choice. At three-month intervals, the Financial Administration Team sends researchers a report detailing the profits, costs, and balance of the research project as well as the research events of the current calendar year. The report does not indicate committed future expenses, such as monthly salaries. The report figures should be compared to the budget and actual study visits. The party that commissioned the research submits a signed statement to the Institute that the research has ended. The researcher has two years after the end of research to spend any remaining balance on research finalization expenses. If money has been left in the project, the researcher must spend it as soon as possible after the end of research. The remaining money is to be drawn as salaries/remunerations or, if it is used for purposes other than salary payments or other budgeted costs, a statement must be emailed to the Institute’s CEO Juha Aarvala at ext-juha.aarvala (at) hus.fi. Once the research project has been completed, the Financial Administration Team issues a final report to the researcher on the project’s total income and expenses. After the research agreement has been signed, the Financial Administration Team invoices a fee for starting up the study from the client/external financier as set out in the terms and conditions of the agreement. The next installments will be invoiced as specified in the agreement. Clinical Research Institute HUCH has insured it’s employees for occupational accidents and diseases at Insurance Company If. In case of an incident report it as soon as possible to your employer and ask for an insurance certificate. By showing the certificate to a medical service provider you will get your treatment free off charge. Employment contracts are made on a centralized basis at Clinical Research Institute HUCH based on a notification by the researcher. Employment contracts are prepared by the personnel secretary. A filled-out personal data form, the length of the employment relationship, the salary specified by TES, the individual salary component specified by the researcher and the tax card must be provided to the secretary. The Institute pays monthly salaries on the last banking day of each month. The researcher agrees on remuneration directly with the members of the research team within the limits of the budget prepared with Clinical Research Institute HUCH. For remuneration purposes, a filled-out remuneration form signed by the researcher and his/her tax card are to be submitted to Personnel Secretary Jaana Vanhanen, P.O. Box 700, FI-00029 HUS. Remuneration is paid twice a month: on the 15th and last day of the month. The electronic remuneration invoice form from the Tutkijan työpöytä application can be used in most research projects. Remuneration payment can be automated in certain research projects if a visit-based electronic budget is in use. HUS guidelines or Study Management Coordinator Mikko Kylmänen, ext-mikko.kylmanen (at) hus.fi, tel. 0407245934.